R.C. is a rising star in baseball, until his world comes crashing down. Raised by his grandparents, Raunold Choquet has one dream in life, to play ball. When a hazing incident goes astray, he finds out that justice is not always blind. Reality sets in when he is attacked in prison. Awakening from a coma with piercing headaches and vivid dreams, he is left to sort out what is real, and what is not. 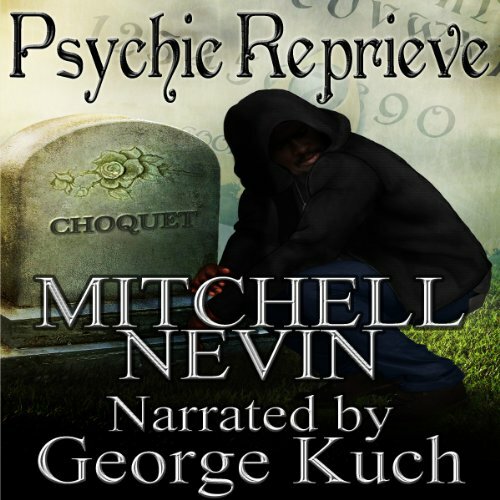 Psychic Reprieve: Deception & Reality introduces us to a group of unlikely friends: a well-liked college baseball player, a disgraced Chicago police sergeant, and a folksy identify thief, as they seek to cash in on one of the trio’s clairvoyant abilities. As their plan unfolds, the lines between deception and reality blur as the motivation for financial gain clashes with conscience, patriotism, and personal responsibility. Purported psychics use their talents — real or perceived — to provide a service and earn an income. In this particular line of work, scammers and snake oil salesmen sometimes move about like thieves in the night. Realists see psychic readings as a pricy form of entertainment. To those in search of inner peace, however, the hopes of bringing a loved one’s killer to justice or communicating with a relative on 'the other side' can make them an easy mark for brazen charlatans. Mitchell Nevin’s latest novel searches the shadowy expanses occupied by serial killers, cold-blooded terrorists, challenged detectives, troubled loved ones, and a gifted young man on a quest to mend his tattered reputation. Unfortunate title really. The story battled for an age between a weakly represented supernatural plot an overly detailed account of police and legal procedures. Pity.